R. William Bohonnon has been a practicing attorney in New Haven, Connecticut since 1947. He succeeds the firm of his father-in-law, Kenneth Wynne, Chief Justice of the Supreme Court of Connecticut in 1959-1961. 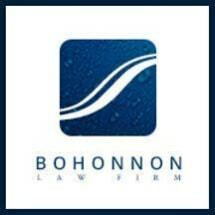 The Bohonnon Law Firm, LLC is comprised of K. Wynne Bohonnon and David M. Bohonnon who are the sons of R. William Bohonnon. The firm serves the entire state with two offices offering a wide range of legal services including Admiralty and Maritime, Family Law, Taxation and Bankruptcy. At Bohonnon Law Firm, LLC, we provide admiralty and maritime legal services to clients from throughout Connecticut and all along the Eastern Seaboard, including: New Haven, Westport, Fairfield, Stamford, Greenwich, Hartford, and Waterbury, Connecticut; New York City, New York; Providence and Newport, Rhode Island; Boston, Massachusetts; Annapolis and Baltimore, Maryland; and Miami / Ft. Lauderdale, Florida. We also provide high quality services to clients in other legal matters including, but not limited to civil law, corporate law, and estate planning.